CAMDEN ROCKS BECOMES TWO-DAY EVENT! Following on from the success of this year’s event, CAMDEN ROCKS head honcho Chris McCormack has announced next year it will be expanded to TWO DAYS! 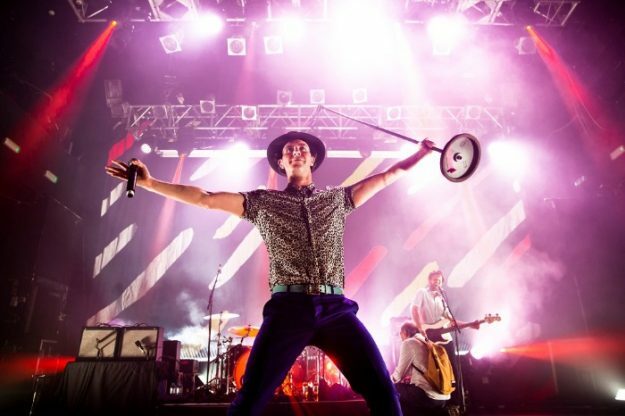 On Saturday 2 June, for the 6th year running, Camden Rock brought more than 8,000 fans to the North London rock’n’roll enclave to see and hear over 200 acts – including PiL, British Sea Power, Maximo Park (pictured), The Professionals and more – performing at 20+ different venues. So successful was the event that they’ve decided to double up and make it a two-day event in 2019. A limited number of earlybird day and weekend tickets are available now for the festival which takes place over Saturday and Sunday 1 and 2 June. Get them here! North London punks RANDY SAVAGES are set to release their debut single next month and they’re premiering their first video exclusively with Vive Le Rock! ‘Intercontinental’ is one side of a double-A single shared with ‘Guilty Of Nuthin’, which is set for release through Memphis label Wrecked-Em Wreckords on 13 July. Describing themselves as “the missing link between cheap speed and Cheap Trick”, the band recorded the single in their own studio, buitl out of two disused shipping containers somewhere in Camden Town. 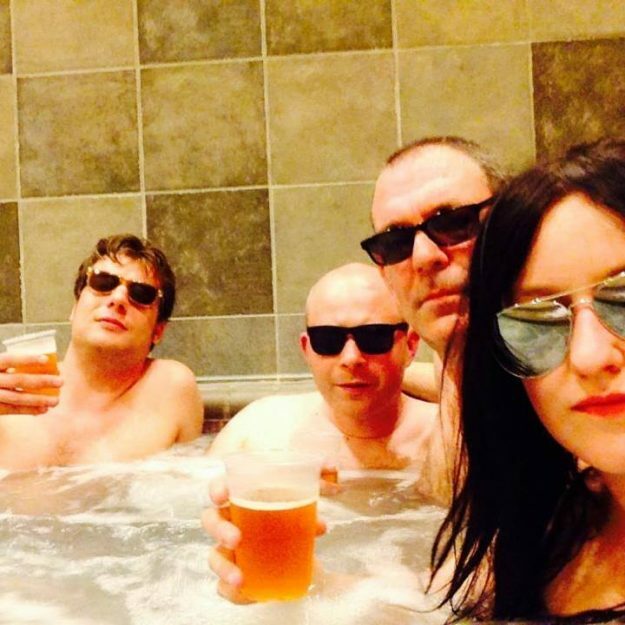 In their first year, they’ve played dates with the likes of Eddie & The Hot Rods, Anti-Nowhere League and Protex and next month they join the bill of Vive Le Rock and Some Weird Sin’s Pump It Up! Power Pop Weekender. Taking place at The Finsbury Pub, Manor House over the weekend of 28-29 July, the event features sets from Protex, THE BARRACUDAS (only London show this year! ), DIRTY FENCES, FAZ WALTZ, ROLE MODELS, LOS PEPES, LUCY & THE RATS and more. Tickets are available here. BIG BOY BLOATER has unveiled another new video from his new album which is released next week. ‘Stop Stringing Me Along’ is the third video to be taken from Pills, the guitarist’s first album with his new stripped down version of THE LIMITS. It’s released through Provogue/Mascot Label Group on 15 June. Read a new interview with Big Boy Bloater in the current edition of Vive Le Rock!, out now! Internationally renowned East London garage-punk label DAMAGED GOODS RECORDS are celebrating their 30th Anniversary this year! And to mark the occasion, they’re having a very special 30th Anniversary Singles Club. The label invited some of their favourite bands to record cover versions of their favourite singles. They even asked them to do the original B-sides! The seven bands that stepped up to the plate were CYANIDE PILLS, GIUDA, JOHNNY MOPED, HARD SKIN, THE SHADRACKS, GRAHAM DAY & THE FOREFATHERS and WILD BILLY CHILDISH. Housed in sleeves that pay homage to the originals, the singles will be pressed on coloured vinyl in limited editions of 250 copies and will be posted out two at a time, with “something nice in with the last one”. The singles will not be available digitally, but will be made available on black vinyl a few weeks later. Membership of the club is £70 and is available here. 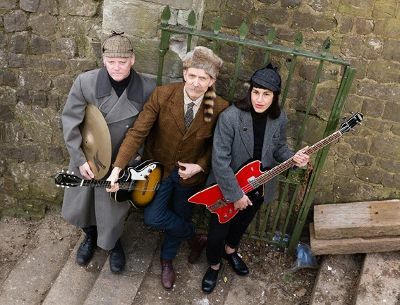 The label will also be hosting a special 30th Anniversary gig on Thursday 6 September at the Music Machine in London (otherwise known as KOKO in Camden), featuring Wild Billy Childish & CTMF plus Johnny Moped and The Shadracks. Tickets priced £15 are available here. THE CHURCH PLAY U.K. DATES! 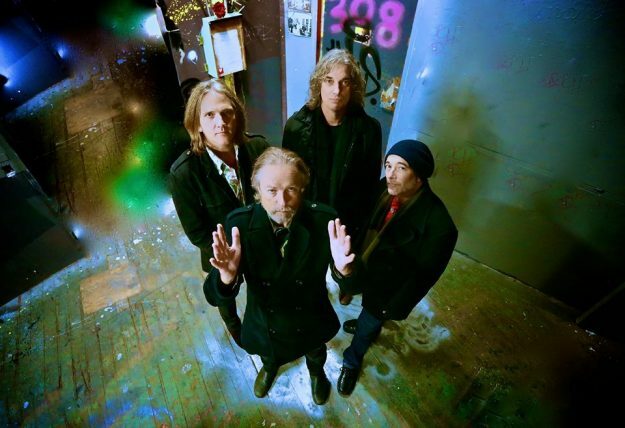 Aussie legends THE CHURCH have announced a handful of UK dates following their sold-out Meltdown show next week. As previously announced, the band join the PSYCHEDELIC FURS at London’s Royal Festival Hall on Friday 15 June as part of the festival curated by THE CURE’s Robert Smith. The following weekend, they take over West London’s Bush Hall for A Weekend Crusade. On Saturday 16 June, the band will be playing selections from their albums Starfish and Hologram Of Baal, celebrating their 30th and 20th Anniversaries respectively. 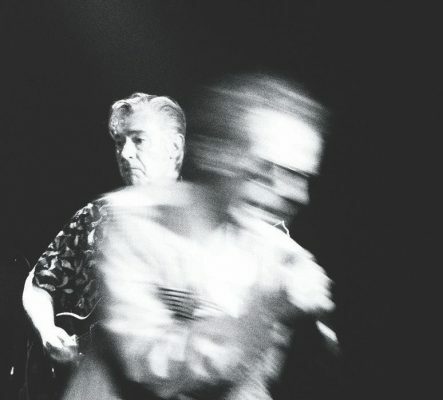 On Sunday 17 June, they’ll be performing their classic 1982 album The Blurred Crusade in its entirety. Both days will also feature film screenings and solo sets. Tickets are available here. 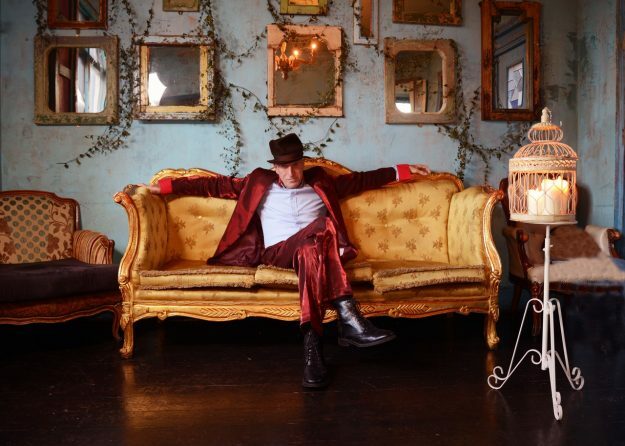 Legendary DOCTORS OF MADNESS founder Richard Strange took the time to talk to Vive Le Rock ahead of his show at London’s Bush Hall on Saturday 9 June. As previously announced, Richard and a band involving several special guests will be performing his classic solo concept album The Phenomenal Rise Of Richard Strange for the first time ever in its entirety. Tickets for the show are available here. The Bush Hall Show sounds like a spectacular, what should people expect? An immersive, multimedia, interactive event, featuring some of the greatest musicians I have ever worked with. Between them they have worked with Bob Dylan, PJ Harvey, Tom Waits, Nick Cave, Tindersticks, The Who, Atomic Rooster, Scott Walker, Sarah Jane Morris, Madness, Band of Holy Joy, The Higsons, Jamairoquai …oh and the Doctors of Madness! Is this really the first time it’s been performed in full, what took you so long? The time was never right… I had fallout with Virgin soon after it was released, Cabaret Futura was going strong, my acting career was starting to take off and the original band had started to go their separate ways. We did some of the songs at Glastonbury in 2009, but never the whole show, and never a staged version embracing the political narrative. Will it be just you on the stage? No, see above… This is a 24 carat all-star band, plus films, staging, guests, bells and whistles!! All the hoopla of a Trump convention… but without Stormy Daniels! The album is nearly 40 years old, do you feel it speaks to these times? “Bombing in Madrid by Franco’s chosen sons. is to send everybody home”. You couldn’t make it up…. Oh hold on… I DID… in 1978!! But that could have been the BBC news today… Meltdown in Italy, Spain, UK, Hungary, Germany, Holland. Resurgent nationalism/fascism, a media that distort news for its own ends.. etc etc. Any resemblance between my character and any other character, living or dead, is purely intentional! Where does your love of theatrical presentation come from? I have been lucky enough to work with the best! Directors like Robert Wilson, Yuri Lyubimov, choreographers like Luca Silvestrini of Protein Dance, artists like Gavin Turk and Haroon Mirza, film directors like Harmony Korine, Martin Scorsese and Tim Burton. Event curators like Hal Willner, who did the Disney show at the RFH with Jarvis Cocker, and the Fellini show and the Sea Shanties shows at The Barbican. I love the way he flies by the seat of his pants and always pulls off something unforgettable…….. I am sponge… I watch everyone, everything, and adapt to my own needs. I always carry a note book. The scenes are out there every day! You just got to see them (and not forget them)! You’ve worked with the great and the [not so!] good. Who taught you the most? You had a ringside seat for the Punk movement, is it true the Pistols supported you? Yep. Not only supported us (1976) but also robbed us while we were onstage!! I sat next to Paul Cook a couple of weeks ago at the Albert Hall, watching my mate Joe Elliott raise billions for Teenage Cancer Charity and felt a hand in my pocket…turned to see who it was and it was Cookie…. he laughed and he gave me a lovely hug! What would you say to anyone one thinking of waiting another 40 years to witness The Phenomenal Rise of Richard Strange? Legendary French folk-punks LES NEGRESSES VERTES have announced a handful of UK dates this Autumn. The three shows form the UK leg of a major tour celebrating the 30th Anniversary of the band’s classic debut album Mlah! Formed in Paris in 1987, Les Negresses Vertes made their mark in the UK off the back of their infectious debut album and an appearance at the 1989 Reading Festival, which saw them hailed as the French equivalent of The Pogues. After a second album Famille Nombreuse for Virgin in 1991, however, their career was derailed by the sudden death of charismatic frontman Helno from a heroin overdose in January 1993. The band eventually regrouped around founding members Stefane Mellino, Mathias Canavese and Jean-Marie Paulus, continuing in an increasingly dub/lounge vein but always a riveting live act. Check out ‘Zobi La Mouche’ from Mlah!